Dan Trachtenberg | A woman wakes up in a room with no memory of who she is or how she got there. This is a short set in the world of the Portal video games created by Valve Software. Wikipedia | Dan Trachtenberg is a filmmaker and video podcast host from the Philadelphia suburbs who currently resides in the Los Angeles metro area. He is one of the three hosts of The Totally Rad Show and a former co-host of Geekdrome. Both programs are hosted at Revision3. In addition to working on Internet shows, Trachtenberg is the writer/director of the 2003 short film Kickin’ and the director of various television commercials and public service announcements. Trachtenberg has directed commercials for Lexus, Nike, and Coca Cola. In April, 2008, he joined Tight Films,for which he collaborated with Matt Wolf on an alternate reality game for Hellboy II: The Golden Army. In addition, he directed the internet show, Ctrl+Alt+Chicken. On August 23, 2011, Trachtenberg released the short film, Portal: No Escape, which he had been working on for one and a half years. 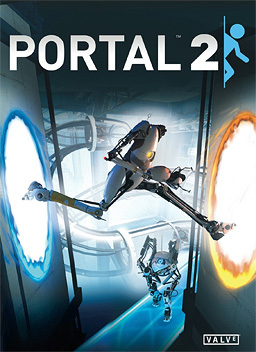 Based on the video game, Portal, the film drew over 1,000,000 views within its first day on YouTube. Within two months, the number of viewers was close to seven million.